Cataract Surgery Patient Workbook is here! Download the most recent copy of our Cataract Surgery Patient Workbook. We hope this workbook will assist you up to the day of surgery and beyond. We understand how nervous people can be when they anticipate their first eye surgery. We encourage you to enter into this event with a clear and relaxed attitude. The more you know, the more you can participate in the success of this surgery. The American Academy of Ophthalmology estimates that cataracts affect 22 million people in the US. Know you are not alone and you are in good hands. This Workbook is created to help organize and convey what you will need to know. We’ve been performing cataract surgery for over 30 years. You can rest assured we know our stuff. Now it’s you we wish to bring into our practice and share what we know so that you will move forward with confidence. In this workbook you will find what we call the Cataract Process. We will discuss the big picture so you will know where you are going. We will look at the procedures leading up to the day of surgery. We will also take a look at Medicare policies that create a safe environment for you. And, in the back of this booklet is the paperwork that you will need at various points of your journey. So, are you ready? We will be with you all along the way. Congratulations on finding a way to rejuvenate your eyesight. We hope for the best outcome for you! Carolyn Hutchens, an amazing patient coordinator at The Harman Eye Clinic, wrote a few words about her recent refractive surgery experience. She is pictured above with Director of The ASC, Brandie Somers. I had Lasik in one eye, and the reason for this is because I am nearsighted. I was needing new glasses and was thinking the bifocal route (not really wanting to) until Dr. Wietharn recommended trying monovision, one eye sees distance and the other is your near vision. I tried it with a contact lens first to see if I would like it and it worked for me! So those bifocal glasses can stay away for as long as good! All I can say is do the evaluation first. It’s free and you can discover the options you have. Clinic schedule redesigned to see more patients! Clinic schedules have been redesigned to include routine and medical exams. A common favorite focuses on symptoms of dry eye. We provide advanced TearLab Osmolarity to measure the level of tear film. It may not sound like an important feature to your eyesight, but adequate tear film will aid in great vision. We have found the TearLab to be an important asset in helping find solutions and create a treatment plan for allergies, watery eyes, itchy and irritated eyelids. This is the type of exam that has been set aside in addition to eye surgical evaluations. It turns out many pre-surgery patients need to take care of their dry eye prior to LASIK or cataract surgery. The Doctors at The Harman Eye Clinic are not only superior eye surgeons, but also adept in diagnosing and treating the symptoms from dry eye. Doctor Ballon, Doctor Wietharn and Doctor Bajenova are currently accepting new patients. 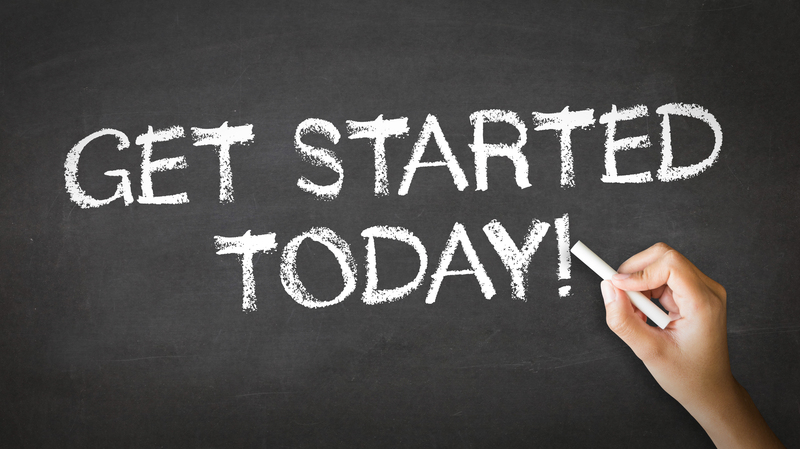 You can schedule on-line through our website or by calling 360.435.8595 or 800.755.3937. This link leads to a presentation, a way to think about the choices in lens implants when having cataract surgery. We hope it is helpful for you also. The presentation is interactive in that you may advance forward, backward or even zoom into whatever interests you. Press play and the presentation will automatically advance … your choice. Thanks, Prezi.com! Patients who have an astigmatism and are candidates for cataract surgery can request a Toric Lens Implant to help improve their vision. A Toric IOL can treat both the cataract and astigmatism in one surgical outpatient procedure. Previously, surgeons tried to change the shape of the cornea through an incision during cataract surgery. Now with the creation of the Toric IOL, vision can be improved or repaired without the need for more surgery. 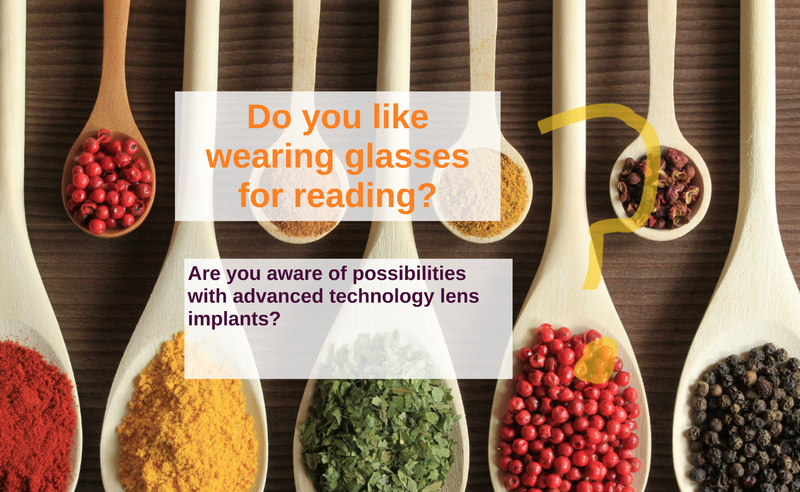 The Toric IOL helps to refocus vision, and is designed with the same technology as contact lenses. Here, Dr. Bajenova completes a postoperative visit with her patient before she returns to Alaska. She had six diopters of astigmatism before surgery. For more information, read an article about astigmatism, visit our website or call us at 800.755.3937. Astigmatism: What is it? How can it be corrected? Most of us have probably been told we have some degree of astigmatism. Symptoms can include blurred vision and monocular double vision, but what exactly is astigmatism? The term astigmatism is used to describe a cornea that is not round. It is shaped more like a football instead of a basketball. Like a football, the astigmatic cornea has two curves: a steeper one and a flatter one 90 degrees away. These two curves bend light entering the eye, causing two images to form in the back of the eye on the retina. A person with astigmatism may see the same dot as a blurred oval or a frankfurter-shaped blur. The variation depends on the how much astigmatism is present. What are the treatments for astigmatism for patients with cataracts? Our doctors will determine if a visually significant cataract is present. Astigmatism will be corrected with the cataract surgery, if the astigmatism is in the lens. However, if the astigmatism is in the cornea, the astigmatism remains when the cloudy opaque lens is removed. If good, uncorrected vision is desired, the astigmatism needs to be addressed in addition to the standard lens implant surgery. How can Astigmatism be corrected? Astigmatism can be corrected with eyeglasses, toric (astigmatic) soft contact lenses and gas permeable (rigid) contact lenses. Surgically, astigmatism can be corrected with laser vision correction (99% accurate), or for small amounts (less than 1.5 diopters) of astigmatism, Limbal Relaxing Incisions LRI (80% accurate), and Toric Intraocular Lenses in conjunction with cataract surgery (95% accurate). Typically, a patient’s eye is marked while sitting upright as the eye may rotate (cyclotorsion) when they lay supine for surgery. Surgery is painless and takes about 15 to 20 minutes. If the lens rotates more than 5 degrees it may be necessary to return to the operating room weeks later to rotate the lens to the desired axis. If no cataract is present, LASER vision correction is an excellent modality to treat astigmatism. The usual type of astigmatism is symmetric regular astigmatism. In case of asymmetric or irregular astigmatism other treatments are necessary. Keratoconus is a progressive non-inflammatory (usually) bilateral thinning of the cornea associated with asymmetric or irregular astigmatism. It typically is a contraindication for LASIK as well as any of the advanced technology lenses used in cataract surgery such as Crystalalens AO, Tecnis Multifocal or ReSTOR lenses which treat presbyopia (inability to read up close after age 40). Sometimes keratoconus can be treated with a toric intraocular lens (Off-label) if the astigmatism is stable and the patient is not expected to ever wear gas permeable contact lenses. Collagen cross linking is a new treatment worldwide for keratoconus, but it is not yet approved by the FDA. It uses ultraviolet light to cure or harden the cornea after it has been pre-treated with riboflavin. Pterygium is an abnormal growth from the conjunctiva (white part of the eye) onto the cornea (clear windshield-like dome in the front of the eye). It can cause asymmetric astigmatism and can be cured surgically. Small pterygia may be safely observed, whereas larger pterygia are best cured by surgical excision, typically with a conjunctival auto-graft secured with tissue glue (Tisseel) instead of stitches. We are all about extraordinary service! Sometimes, though, we just need to celebrate the dedication and achievements of our staff. We are proud to recognize Brandie Somers, COT, ST, Director of The Harman Eye Clinic Surgery Center as one who is leading the way in excellence! In 2003, Brandie completed her schooling for Medical Assistant and was hired by The Harman Eye clinic to work in patient care. She quickly established herself as a key team member — a medically skilled and compassionate provider of services. Our doctors came to rely on her to lead, train and encourage other technicians toward extraordinary care. Within the time we have known her we have shared her marriage and the arrival of two wonderful children. And yet Brandie ceases to amaze us with her desire to improve herself and those around her. This year, Brandie accepted the position of Director of The Harman Eye Clinic in collaboration with Head Nurse, Olga Tereshchuk. 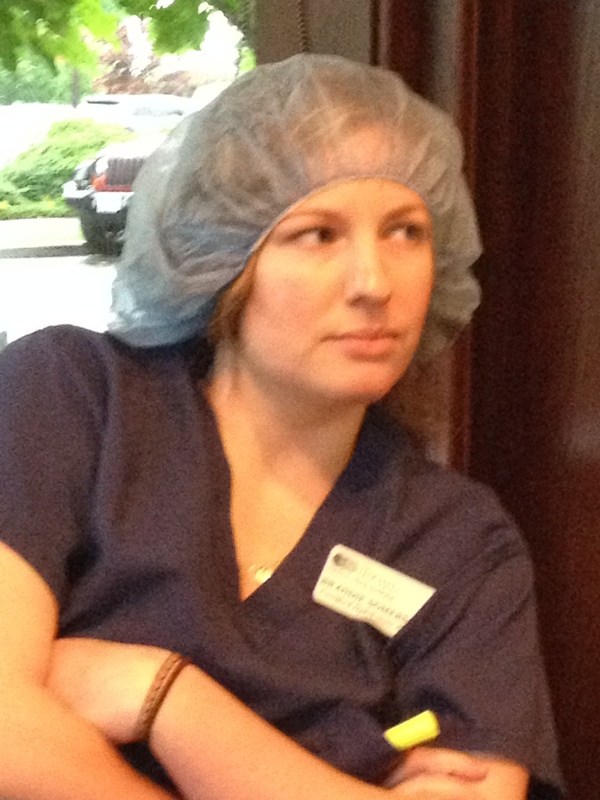 With Brandie’s ten years of hands-on managerial experience, she has made impressive refinements to our infection control protocols, our adherence to CMS compliance as well as recreate a team spirit enjoyed by patients, staff and doctors! You would think Brandie would be content to sit on her laurels but this weekend she surprised all of us by passing the COT exam (JCAHPO-Certified Ophthalmic Technician). Congratulations is in order! Once again Brandie has led the way for all of our technicians to pursue their individual excellence in career advancement. Dr. Bajenova and Brandie Somers prepare the Intralase laser to create a blameless LASIK flap before using the VISX laser. Patients Are The Reason For Our Existence! What’s the latest in testing for dry eye? Red, stinging, irritated eyes are often endured rather than treated. It’s hard to realize that the condition of your tear film directly affects the clarity of your vision. When you decide to have LASIK, PRK, or a mutlifocal lens implant, your Dry Eye Condition can get in the way of achieving the wonderful, clear outcome you desire. If you wish to learn more about our TearLab read on. Choosing LASIK this year is a life-changing decision. Taking care of your dry eye disease beforehand can be one of the most important things you do for yourself to assure the visual outcome you desire. Let us know how we can help!